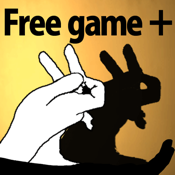 This App is Free of "Shadow Love". "However in this version, we ”PLUS” a feature that is not even included in the paid version. You can share your gameplay video with Kamcord on Facebook, Twitter, Youtube and e-mail. Especially,you can record your moves as YouTube's metadata.